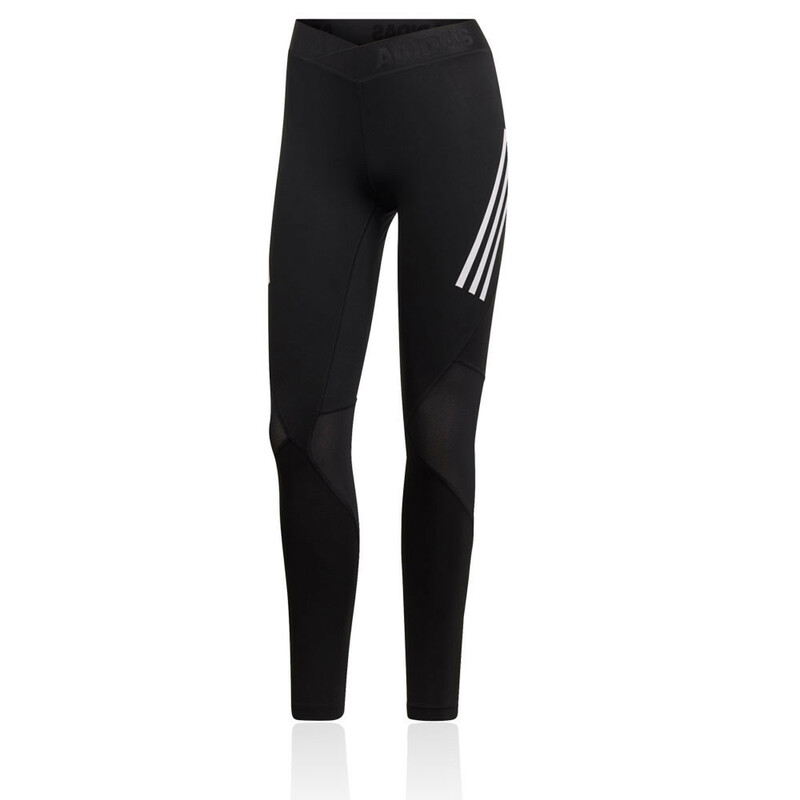 Focus on your squats and lunges in these breathable long tights. 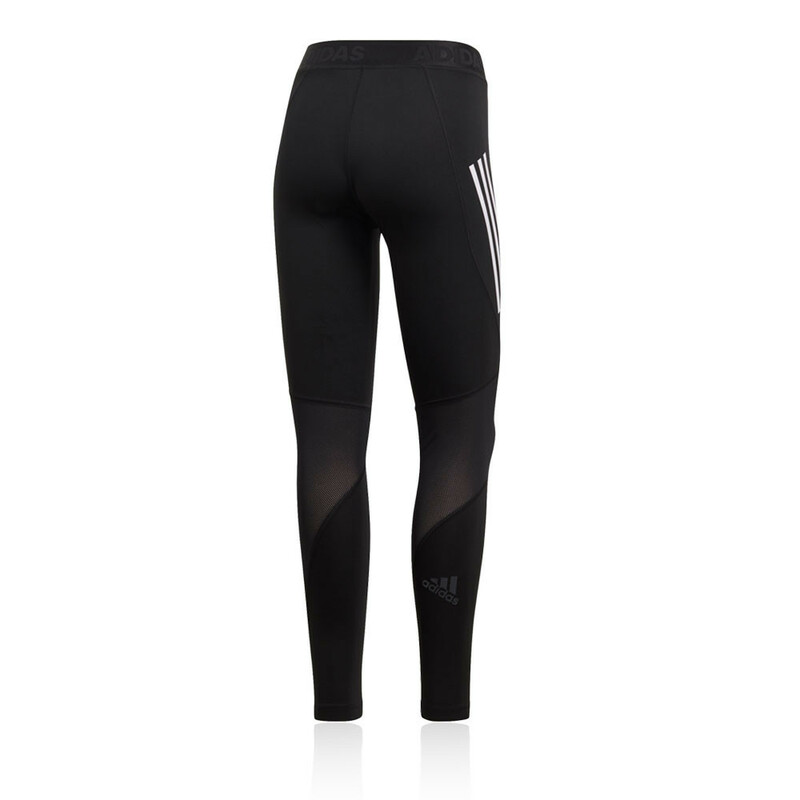 Made from stretchy fabric, they feature a compression fit that wraps your body and follows every move you make. Built to manage heat and moisture, the tights include mesh inserts for targeted airflow as you dial up the intensity. These advanced running tights from adidas feature kinetic wrapping; this is where the tights wrap around the body perfectly in order to provide full freedom of movement and zero distractions. 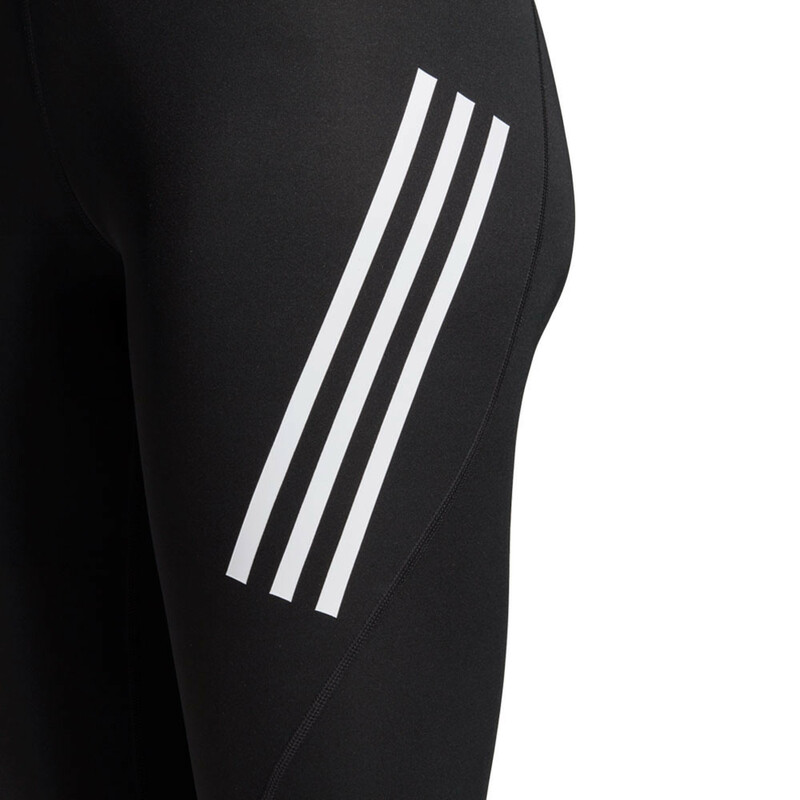 This Alphaskin wrapping supports dynamic movement and delivers a locked-in feel. 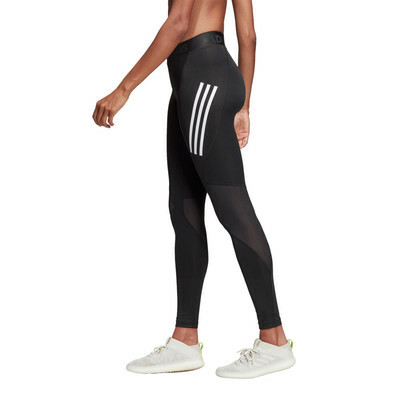 The tight, secure fit of the tights offer a compression effect, providing support and reducing muscle vibration during exercise. The garment is made with Climacool fabric; a unique, heat reactive fabric, Climacool keeps you cooler and drier for longer during exercise, allowing you to stay fresh and focus on pushing yourself further and further. A soft-touch elastic waistband allows a customisable, close fit that gives superior comfort. 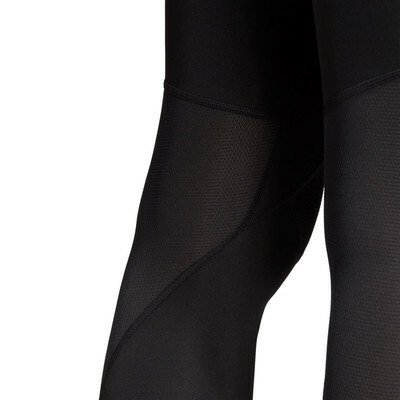 Mesh inserts are included on the inner legs, to provide targeted airflow where you need it the most. Lastly, the anti-odour fabric with Polygiene technology provided by the tights offer a fresh feel that looks and smells good for longer. Kinetic wrapping - Delivers full freedom of movement and zero distractions. 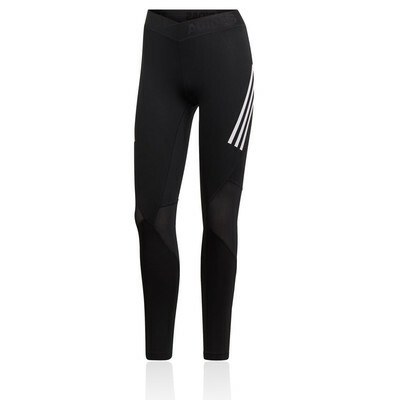 Compression - Provide muscle support and reduces vibration. Climacool fabric - Keeps you cooler and drier for longer. Elastic waistband - Allows a personalised, comfortable fit. Mesh inserts - For targeted airflow. Anti-odour fabric - Stays fresh for longer. Material - 83% recycled polyester, 17% Elasthane.